33% of the ages 18 to 29 consider texting during a meeting appropriate, compared with 17% of those ages 30 and older. Read this article by Cathy Payne @ newsfactor.com. Every day, the average smartphone user spends 128 minutes actively using the device. That’s just over two hours. The average user is spending those 128 minutes surfing the Internet (for nearly 25 minutes), engaging in social networking (for more than 17), listening to music (more than 15), and playing games (more than 14). Scientists find that a tilt of your head can say more than a thousand words when it comes to refining small talk in awkward social situations. Read this article from JERRIE DEMAS @ watoday.com.au/lifestyle. A sharp, high-pitched shriek blasting out from loudspeakers is a common irritant in many public meetings. Perhaps you have even experienced it at your church meeting today. Too many people fail to properly use microphones and the result? Their excellent speeches are barely heard. Under the pressure of presenting before an audience, a speaker can lose natural vocal expression. For comfort and confidence, rehearse ahead of the presentation. As you practice, experiment with volume, pitch, and rhythm to achieve optimal expression and emphasis. 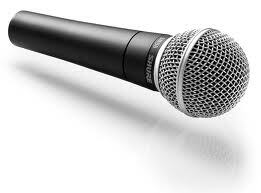 If you don’t rehearse with the microphone, it will be difficult to use it effectively in front of a live audience. Rehearsing will allow you to get used to the sound of your voice and find out if there is any feedback coming through the speakers. With the festive season well and truly full in swing, making small talk is part and parcel of going to holiday parties. The mingling, the chatting, and the small talk are unavoidable – dreaded by so many (and we can relate! ), but truly an art. Whether you find yourself at a business mixer or a large family dinner, there will be times when you find yourself face to face with a stranger, be it a new business acquaintance or a distant cousin. When meeting someone for the first time in any situation, be prepared to shake hands, standing up straight and with confidence. Smile and repeat the person’s name a couple of times in the next few sentences to help you remember it. Most people have a problem with bad phone behavior. According to a Harris Interactive poll, 72 percent of adults list bad phone behavior as one of their top 10 pet peeves, although just 18 percent of those surveyed owned up to the act. The poll was commissioned by Microsoft in conjunction with the launch of Windows Phone 7. According to Microsoft, the new mobile platform will help change phone etiquette for the better. (Reuters Life!) – Are you secretly dreading holiday party invitations in your mailbox? Would you prefer to share celebrations with one person or a few friends rather than a big party? Do you feel drained after social situations, even when you’ve enjoyed yourself? Do you become grouchy if you’re around people or activities too long? If you answered, “Yes,” to these questions, you are probably an introvert like me, and find the holiday entertaining season draining when it’s supposed to be joyful. Until I married an extravert, I never truly appreciated the fact that introverts and extraverts are simply hardwired that way. Parties energize extraverts, but drain the rest of us. The kicker is that we are very sociable. We appear to be having a swell time – and very often we are – so extraverts assume parties are easy for us, and bring us along for more. “There is a whole culture developed around introverts having to hide to get what they need,” said Dr. Larry Richard, a psychologist who heads the Leadership & Organization Development practice at Hildebrandt Baker Robbins, and an expert on the famed Myers-Briggs Type Indicator personality test. Oct. 16th’s column (Delightful dinner discourse) prompted a reader to ask me to go into greater depth about how to initiate dinner-table conversations, especially with people you don’t know well. The person asking seemed to be self-assured and a good conversationalist, yet felt fear and discomfort when in this situation. Small talk is an incredibly useful skill. Whether you are at a business mixer or a large family dinner, there will be times when you come face-to-face with a stranger, a new business associate or distant cousin. The silence that can sometimes linger can make both people feel uncomfortable. When meeting someone for the first time, in any situation, be prepared to shake hands. Stand up straight, with confidence. Smile and repeat the person’s name a couple of times in the next few sentences to help you remember. Diving into personal questions or areas where there could be a difference of opinion, such as religion and politics, is best avoided during initial introductions. Stick to uncontroversial topics, such as the lovely hospitality, weather, world news, food, books and hobbies. It helps to stay current on world events. Matters of health, wealth, gossip, age and other delicate subjects can also wait until a relationship of a more familial nature develops. I find people enjoy talking about themselves. The definition of small talk includes both light conversation and idle banter. 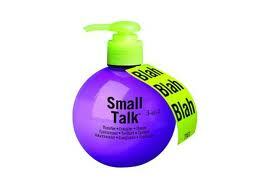 Small talk is what people say to one another to be social. It breaks the ice. By asking general questions and giving answers, people connect. Small talk is not in-depth conversation, but rather an exchange of social niceties. A lot is written about the importance of grooming and proper dress, but if we can’t make intelligent conversation it won’t matter how we look once we open our mouths. What are some ways to make small talk? • Be well informed. Read at least one daily newspaper, weekly news magazine, or Internet news page. • A good conversation requires more listening than talking. If you forget names, it helps to repeat the person’s name a few times in conversation. • If self-confidence is your issue, practice in front of a mirror. Smile, use good eye contact, and imagine Cary Grant staring back at you. • Before going to an event, read the headlines of the day, including the sports page. Current events are perfect for small talk. • Ask the other person about him- or herself. People are flattered to be asked and love to talk about themselves. • Be ready for a conversational pause and be ready to fill the void. • Focus on safe topics such as current events, new restaurants, hobbies, movies, mutual family or friends, and sports.